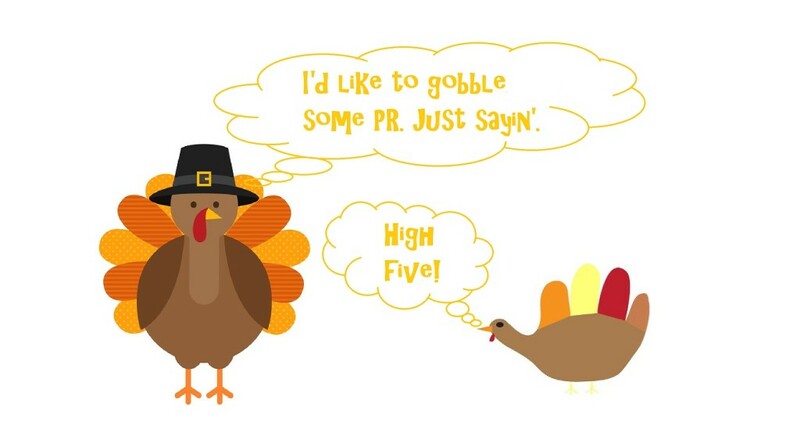 At Pivot PR we geek out over public relations (PR) and during this month of Thanksgiving, I am sharing why we are thankful for this stellar segment of marketing. And just so you don’t think we’re absolutely cuckoo, I’ve included some quotes from all-star business folks. They seem pretty thankful for PR too. Which sticks out most in your mind? The store-bought pumpkin pie or the time spent with grandma every year making the pumpkin pie? Exactly. Along those same lines, how long does the 30- to 60-second paid advertising spot stick in your brain? Memories can’t be fabricated or paid for. They must be organic and that’s exactly what public relations is. Whether it’s media relations, community relations or influencer relations that’s behind the scenes of the article, event or social media post that creates a lasting memory with you, it’s all thanks to public relations. Forbes magazine wrote, “Data from influencer marketing platform MuseFind shows that 92% of consumers trust an influencer more than an advertisement or traditional celebrity endorsement.” An influencer could be a traditional journalist or perhaps a blogger or average person like you or me who has built an impressive following by covering a topic (e.g., food) as a hobby. Thing is, you believe them, don’t you?! Public relations efforts reach these folks and you pay more attention and believe what they say more than you do ads. Do you believe what paid ads (i.e., a brand) tell you? And lastly, think about the buyer process with B2C or B2B customers: consumers are savvy these days and start their buying process by researching way before they contact you or step in your store, restaurant, etc. With public relations, you have blogs, media stories, social media content, reviews and more that consumers can consume – and that can tip the scales for them to decide on YOUR company! Not to mention the benefits in Google by way of constant content. With gift-buying holidays around the corner, let’s use that as our analogy here. Sure; you could spend thousands of dollars on a gift but will it have meaning? Will it be memorable? Will it make the recipient happy and feel loved? Or could you make something uber thoughtful from scratch or spend half the cost of the super expensive gift but tailor it to the recipient’s interests and have it be the gift that they never forget? Advertising costs can be through the roof and to point #2, will it even achieve your objectives? Don’t get me wrong; advertising has its place and is important to the paid-earned-owned triangle but you can’t rely ONLY on advertising (especially not on old-school, traditional advertising). On the other hand, consider a public relations tactic like blogging. According to InsideView, B2B businesses that blog achieve 67% more monthly leads than those that do not. Bottom line: PR is the big thing that comes with an extremely small price tag. We’re counting our blessings for more than just PR of course, including our family, friends, clients and fellow marketers and business owners in town. I’m also thankful you got to the end of this blog. Have a happy and safe Thanksgiving!